Amidst all the excitement concerning the announcement of the second Decentraland auction, there is a very important vote taking place. A vote which could have drastic effects on the future of the Decentraland economy. Would you like to see the inflation of MANA be removed? Should the Marketplace charge a fee, in MANA, that gets burned each time a LAND sale is made? In this article is a brief overview, along with just a few possible effects the outcome of the vote could have on the future of the Decentraland economy. 1) Would you like to see the inflation of MANA be removed? Initially, an 8% rate of inflation was planned for Decentraland MANA token. The vote is to decide whether this should be reduced to a rate of 0%. There are no alternative % rates on which to vote. No more new currency will be introduced into the total supply, and if coupled with a MANA burn, this will result in the economy becoming deflationary. >> Encourage HODLing of MANA, therefore slow down growth of Decentraland. Deflation discourages spending as the currency will likely have more buying power in the future. If users are not willing to spend their MANA, then the incentive and appetite for new businesses to setup in Decentraland would be just one example of how this change could affect growth. 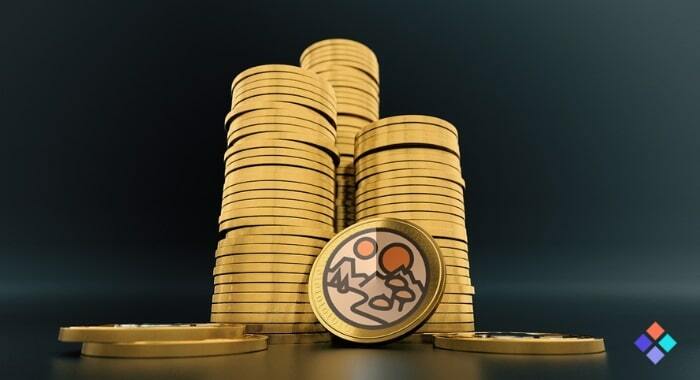 >> As MANA is the official in-world currency of Decentraland, some argue that to a certain extent, removing inflation contradicts some utility aspects of the coin. Currently the vote is 93.8 % in favour of removing inflation. 2) Should the Marketplace charge a fee in MANA that gets burned? There are currently no fees to sell LAND on the marketplace. The vote is to decide if a fee, charged in MANA, should be applied to all sales (charged to the seller), with the MANA fee being burned and removed from the total MANA supply each time. There are various rates to vote on (No fee, 1%, 2.5% or 5% fee). Each time a LAND sale is made in the Decentraland marketplace, a portion of the sell price would be burned, and removed permanently from circulation, each time reducing the total supply of MANA. >> Decrease LAND values (in MANA) – Simple economics suggests as an item increases in scarcity, in this case MANA, and demand increases (as the platform grows), this will push up the value of MANA to the $, and LAND prices will be expected to shift inline with this. Currently the vote is 81.5% in favour of adding a 1% burn fee to LAND sales. If you own MANA, make your vote count and vote for what you believe would be the best outcome for the future of Decentraland. Both of the current questions that Decentraland have asked the community to vote on are of utmost importance to the future of the economy. They appear to represent a shift in focus to increasing the value of MANA. If Decentraland, and the community, believe that this is the best course of action to take in these early stages of the Decentraland platform, then undoubtedly everybody will support the decision. From an economic point of view, it will be fascinating to watch how it changes the way new and existing investors adapt their strategy to fall in line with these changes. Disclaimer: DCL Plazas is in no way an economic advisor or expert. DYOR. All suggested potential outcomes on the vote are based on basic AFK economic theory. DCL Plazas owns both MANA token and LAND. No bueno. Who wins here? Yep, whales. Don’t buy into this, land is what will give the normal person a chance to shine here.